The agenda of Russian President Vladimir Putin's visit to India is getting assigned with precise content. The sides plan during the trip, which is scheduled for December, to sign an agreement for the development of a smaller version of the supersonic cruise missile "BRAHMOS". This was announced by Sudhir Kumar Mishra, new president of the Indo-Russian venture "BrahMos Aerospace". "The small size makes this task very difficult even for complicated and modern anti-aircraft missiles. That is, capabilities of the armed forces, which possess similar means of destruction, naturally increase sharply in terms of destruction of objects of possible opponents". "We launched the "BRAHMOS" capable of carrying a warhead from ship to ship. This was the only test that was conducted with a warhead. One missile, 4 minutes of flight and the ship was gone, broken into two parts. In this case, it is impossible to shoot down a missile launched by anti-ship missile defence systems. "BRAHMOS" is capable of changing course, altitude and can change its angle of attack". According to Sudhir Kumar Mishra, "BrahMos Aerospace" will be ready to transfer to the Indian Air Force the aviation version of the supersonic cruise missile for the Su-30 already in 2016. And by the end of this year, trial launches on board of the Su-30 are expected to be completed. "Russia has recently included Pakistan amongst countries with which it may allow military-technical cooperation. And Pakistan has shown an increased interest in the procurement of certain weapons, such as combat helicopters. This is an example of diversification of Russia in the field of military-technical cooperation. But the kind of cooperation with India we have does not exist with anyone else. Particularly, the joint military development includes, supply of kits for production at the Indian enterprises of Su-30 aircraft and of T-90 tanks." 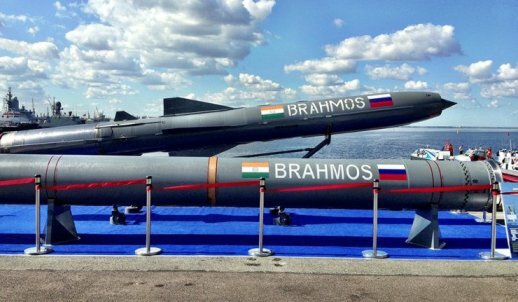 A qualitatively new stage of military-technical cooperation between Russia and India reflect plans of "BrahMos Aerospace" of bringing localization of supersonic cruise missile "BRAHMOS" in India to 100 percent. Presently, the localization of production is 50 per cent. Within two years, this level is expected to reach 80 percent. To ensure sustainability in the serial production of missiles, a number of parts and components for its production were started at the Indian enterprises. More than 25 of such kind of systems have already been introduced at the design-levels of rockets. In addition, Indian professionals have established manufacturing of fire control systems for controlling the missile launch.